Brother Barkley pastored in southern Indiana for several years, before returning to Richmond, Indiana where he served as principal of Crossroads Christian School, as well as serving full-time on the pastoral staff. In 1997 he began working with Endtme Ministries, headquartered in Richmond at that time. At Endtime he traveled the U.S. preaching and teaching bible prophecy seminars. He also served as Endtime's webmaster and was responsible for design and layout of the ministry's Endtime Magazine. Sister Barkley served as bookkeeper for the church as well as handling all the accounting for Endtime Ministries. In 2003 and 2004 he and his wife Debbie served in Argentina as AIM'ers for nine months. 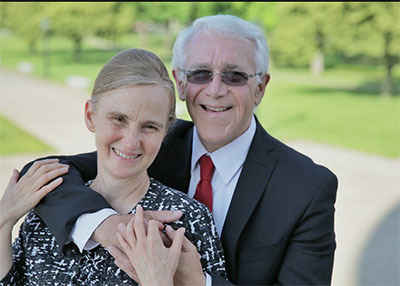 They were appointed missionaries to Chile in February of 2004. In Chile he has served on the National Board as Vice-President and President and as Director of El Instituto Bíbico Apostólico de Chile. Sister Barkley has work with the Ladies Department, teaching seminars and conferences.